Superior performance, exceptional longevity and outstanding compatibility. 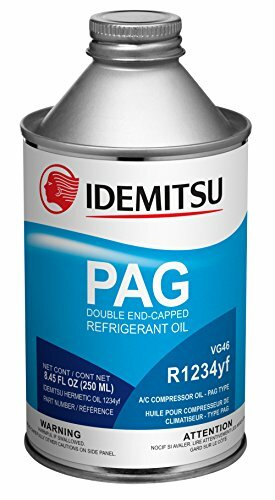 Idemitsu PAG Oils are used by leading automotive compressor OEMs like Denso, Mahle, Sanden, Valeo, Calsonic and Hanon, as well as vehicle manufacturers worldwide. Idemitsu PAG Oils are used in 9 out of 10 vehicles as the factory fill in the USA and Worldwide. If you have any questions about this product by Idemitsu, contact us by completing and submitting the form below. If you are looking for a specif part number, please include it with your message.